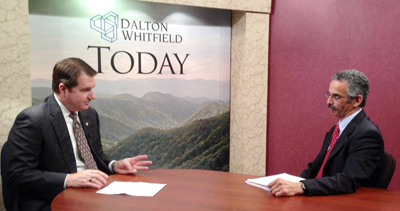 Dalton-Whitfield Solid Waste Authority Executive Director, Norman Barashick, was intreviewed this week for the local television show Greater Dalton Today (formerly Dalton Whitfield Today). He gives an overview of all the services and programs taking place at the Dalton-Whitfield Solid Waste Authority, talks about the Landfill Gas to Energy Program, and the Carpet Balefill. Brian Anderson is the host of this new episode of Greater Dalton Today from the Greater Dalton Chamber of Commerce.